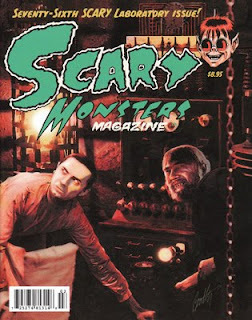 That's right our Halloween ad for the October issue of Scary Monsters Magazine should be arriving in subscribers mail boxes any day now and should be on newsstands soon! We're running a great special in this issue, you can buy any 10 DVDs featured in the ad for just $118.95 shipped! But you have to read the magazine and order by mail! Go get your copy today!